This has been one of the most professionally rewarding summers I’ve had in a long time. I’m taking some doctoral classes and have been immersed in some rich dialog and learning with some really neat friends and colleagues at Bethel University. Our journey together as researchers has spanned three summers now, and the cohort I’m in has been a blessing. I’ve also begun to expand my Professional Learning Network (PLN). The teachers, administrators and authors I’m learning from have made me a more connected principal. It’s been an amazing adventure and some of the educational technologies that I’m most excited about right now would not even be on my radar if it weren’t for my PLN. Best of all, I’m able to take some of the innovative tools that I come across and share them with staff members at our school who are also exploring areas of passion. Together we are really integrating some neat ideas and opportunities for students in our school! 1.) Twitter. Connect, learn, grow, share, rinse & repeat. Need I say more? Hands down the biggest difference maker for me as a reflective and connected principal. 2.) Aurasma. Although I’m just scratching the surface of Augmented Reality (AR) apps, this one is a keeper! It has ignited my imagination and the power of AR to bolster student creation, imagination, excitement, communication and creativity is limitless. I originally entertained thoughts that this app may just be a glorified QR code generator, but it’s so much more. 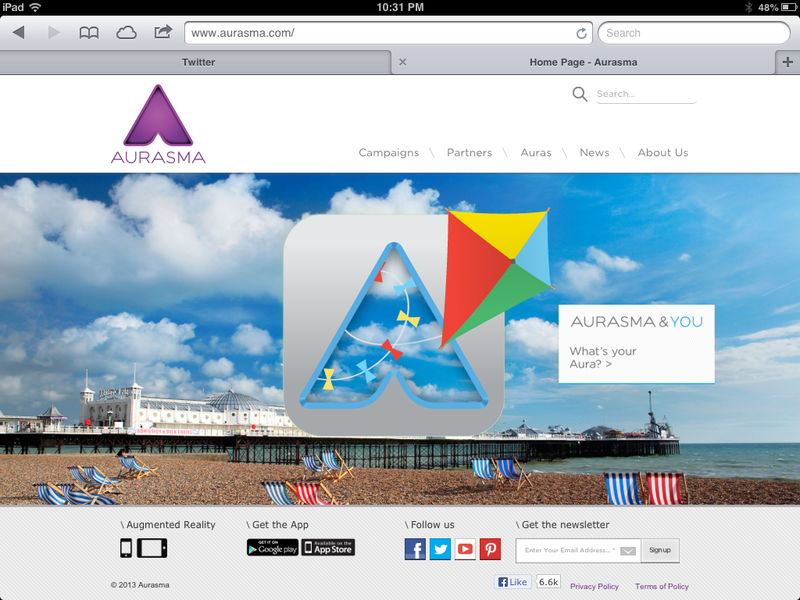 To see a VERY basic example of what Aurasma can do check out my AR Resources page on this blog (second tab). 3.) 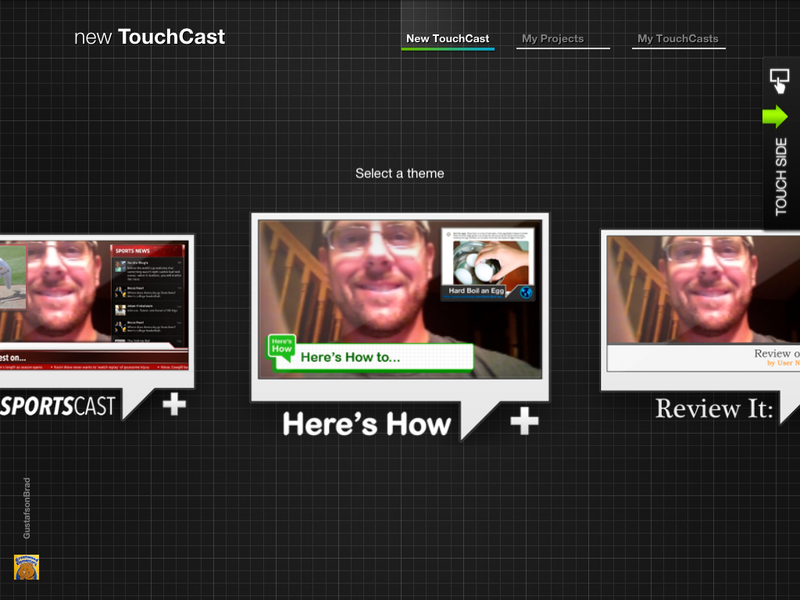 TouchCast. Got communication? This app has all the bells and whistles you’d ever want to start creating your own podcasts. Best of all….it’s easy to learn and has a very professional aesthetic. I’ll admit my first TouchCast was an epic fail, but sometimes that’s where the best learning occurs. If you’ve ever pondered replacing a traditional classroom/school newsletter with an interactive podcast that’s intuitive and fresh TouchCast is a MUST SEE. Love. This. App. If you’ve ever tried to be somebody you are not…this blog post is for you. If you’ve tried to do every cool thing found on Pinterest or Twitter in the same school-year…keep reading. And, if there’s anybody in your Professional Learning Network (PLN) that you want to be more like….you’re not alone. Aspiring to grow and develop as a reflective practitioner is important. In many respects, growth and change are NOT optional. We cannot confine students to our own status quo; their ability to thrive in this global, hyper-connected environment depends on our readiness to learn! That’s one of the primary reasons we connect with each other using Web 2.0 technologies. However, students need professionals that are also comfortable leveraging, developing and sharing their own strengths. Stay with me…here’s where the pineapple comes in. 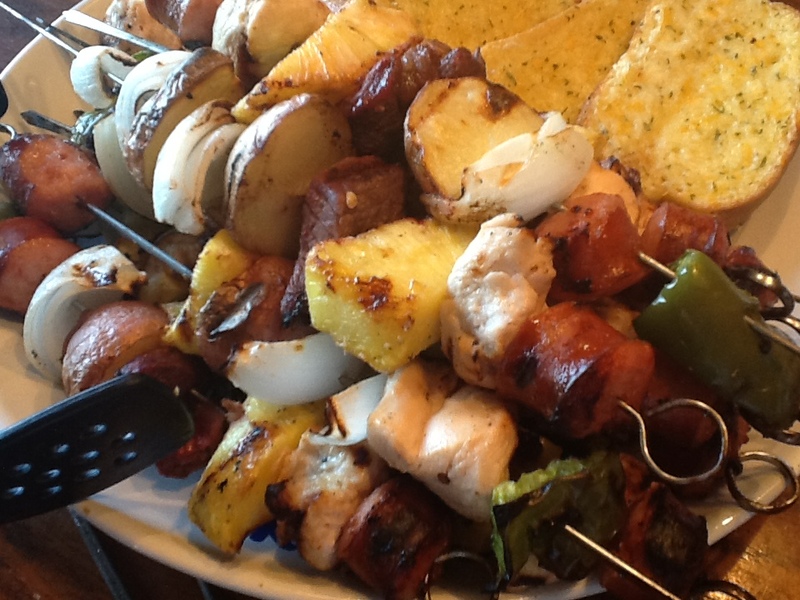 While enjoying an anniversary grilled lunch with my wife recently, I looked at a shish kabob and began to draw connections to educational vision, collaboration and synergy; this analogous thinking can be an affliction, but it makes for interesting conversation at dinnertime! Now back to the shish kabob. The most magnificent thing about a grilled kabob is the glorious manner in which a diverse group of meats, veggies, and marinades commingle to create something that could not be accomplished individually. Can you imagine if a fresh piece of grilled pineapple was so enamored with the beautiful, buttery goodness of a grilled red potato that it was consumed with actually becoming a spud? Or what if that same pineapple absent-mindedly aspired to take on the best attributes of all of its other skewered companions? Sounds unrealistic, right?! The truth is…a pineapple doesn’t need to become a potato or any other kabob ingredient; a pineapple’s only job is to embrace its “pineappley goodness” (and stay connected to the kabob skewer so it doesn’t perish in the bottom of the grill). We’ve all been impacted by inspiring educators doing really great things for kids. I work alongside some of the best in the business, and also follow some really amazing teachers and principals on Twitter as well. Learning from our PLN and connecting with them can be a magnificent thing. However, it’s probably unrealistic to do all of the best things that others are sharing. I recently had a revelation; when I focus on just a few difference makers, or key “change” ingredients, I’m more effective and can better support those around me. Instead of trying to actually become the potato…and steak…and green pepper, try learning with and from them. What if a kabob consisted of only peppers?! Embrace your inner-self, collaborate, never stop learning…and above all, be your best pineapple! Disclaimer: Author not responsible for any damage caused to your spell-checker by words made up in the aforementioned post.